*Check out the new fitness class that’s proving a real hit with handlers and their dogs. *Time for another trick! Teach your dog the roll over. 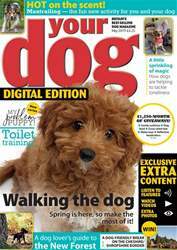 *Pup Aid — find out about the annual event that’s all about putting an end to puppy farming. *Chasing trouble —how to prevent your pet from chasing livestock and potentially putting you in court. 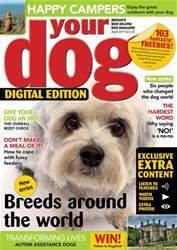 *Advice and tips on choosing a rescue dog. 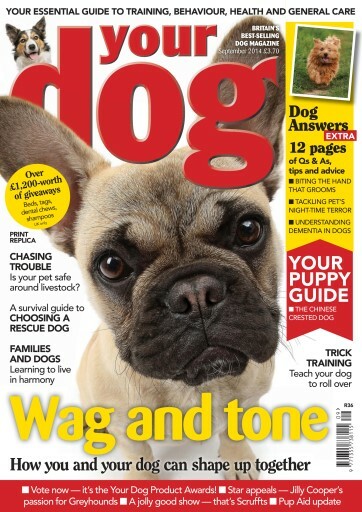 *How one charity is helping families to understand their dogs’ behaviour better. *The nation’s favourite cross-breed competition is getting bigger and better each year. So what makes Scruffts so special? 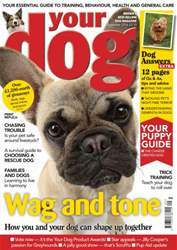 *Vote for your favourite doggy products in the Your Dog Product Awards 2014/15. 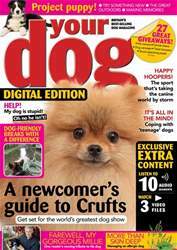 *Author Jilly Cooper shares her love of Greyhounds..
*Discover the dog walk that’s come up best in the west. 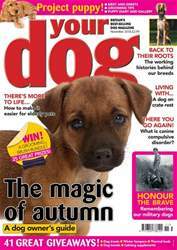 All this and more in the September issue of Your Dog Magazine — out now!